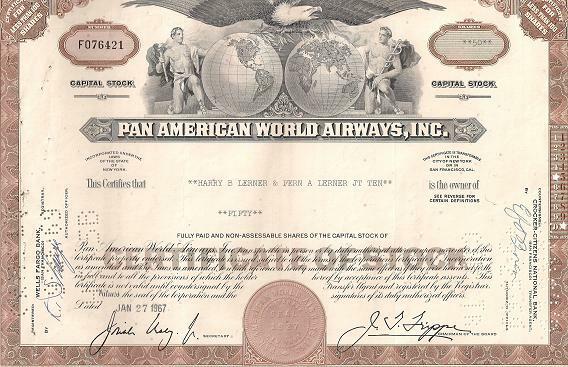 Pan American Airlines Stock Certificate-1967 Price:$8.99+$5.00 S&H This is a certificate for 50 shares of capital stock in the now defunct Pan American World Airways. It was issued to Harry B. lerner and Fern A. Lerner and the certificate number is F076421. It is dated January 27, 1967. It is in very good condition and contains some beautiful artwork.